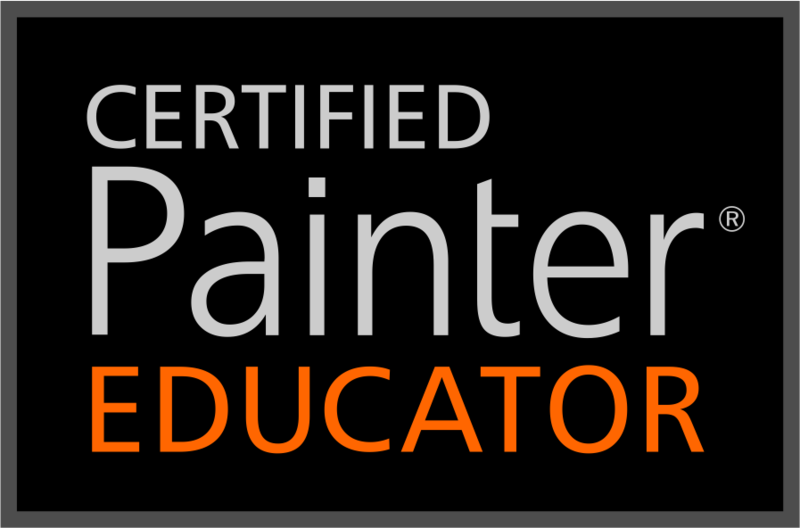 You can still register for my class, Painter 2018, Is It Real Paint. I cover all the new functions released with Painter 2018 and more. The class includes 115 video demonstrations and many resources, such as brushes, papers, textures, etc. I don’t think you will find another class that offers as much as this class. Do register right away. Everything is available for download to your computer; you can watch and work the assignments at your leisure. The class will stay open well into the new year, however, registration will close December 31, 2017. Don’t delay! I hope to see you in class! I created this image while demonstrating thick paint. I had taken a photograph of Cade’s Cove in the Smokey Mountains on a winter day. It was cold and a winter storm was brewing. I wanted to express the feeling of the day, plus I was in a somewhat somber mood when I did the painting. I love the new thick paint brushes and explain in detail how they work and show you how to build your own. I think thick paint is one of the best new features of Painter 2018. Happy Thanksgiving to those who follow this tradition. And I want to wish everyone the Happiest Holiday Season and the Best New Year ever!